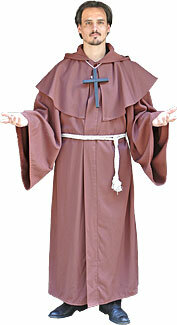 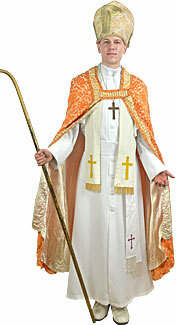 A Pope costume with a cassock and papal mantle. 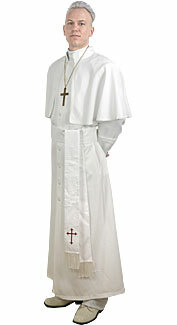 A Pope costume with a white cassock. 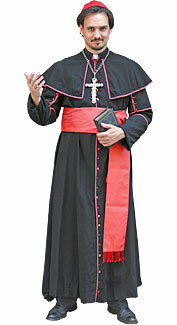 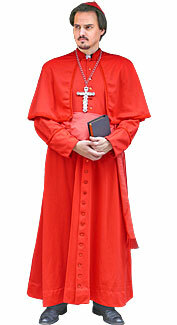 A Cardinal costume with a Roman-style cassock. 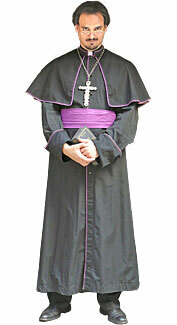 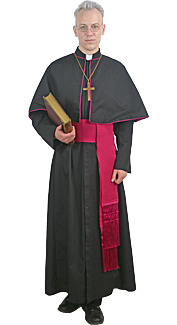 A Bishop costume with a Roman-style cassock. 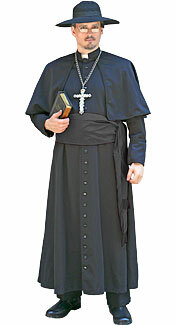 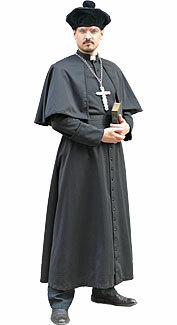 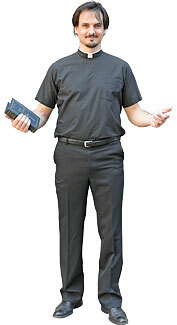 A Priest costume with a Roman-style cassock. 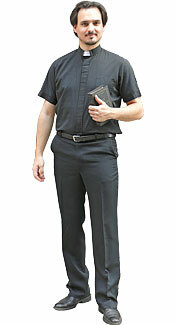 A black Clergy shirt with a tab Roman collar. 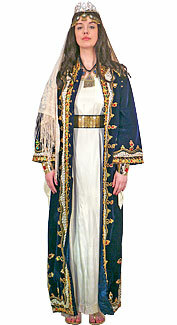 A Nun costume with a traditional habit. 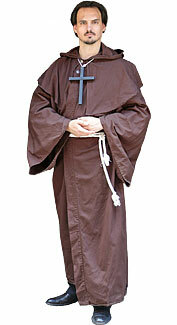 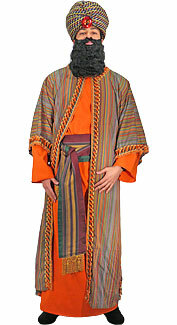 A Monk's costume with a brown robe. 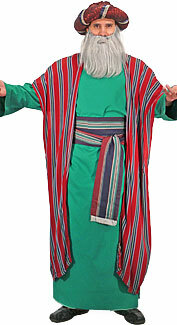 A Biblical-style costume with a colorful robe. 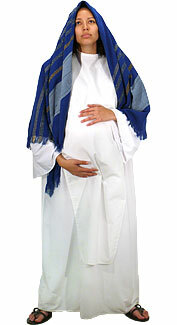 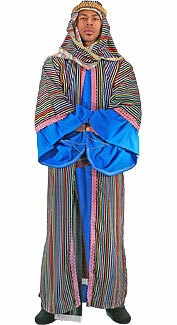 A Biblical-style costume with a colorful caftan. 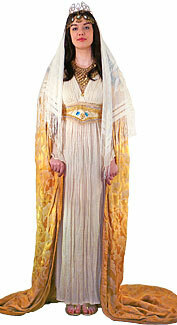 A Biblical-style costume with a flowing gown. 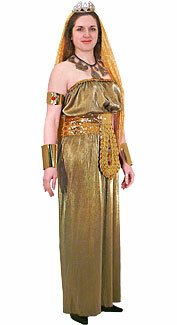 A Biblical-style costume with a gold sheath dress. 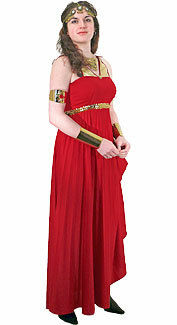 A Biblical-style costume with a red and gold dress. 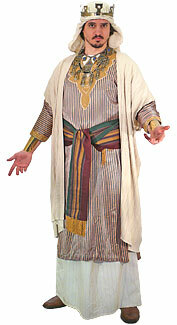 A Biblical costume with a colorful caftan. 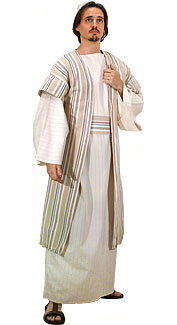 A Biblical costume with a tan caftan. 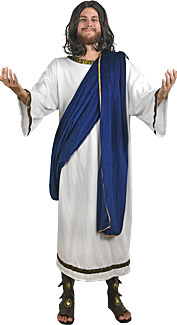 A Biblical blue and white costume. 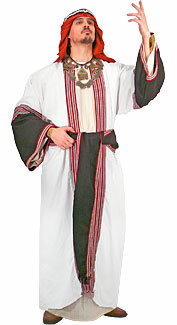 A Biblical costume with a white robe. 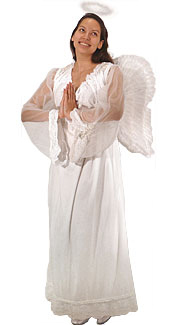 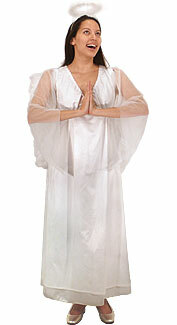 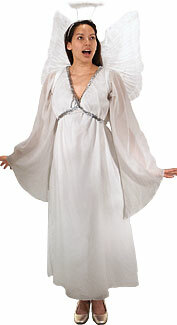 A white angel costume with a flowy gown.